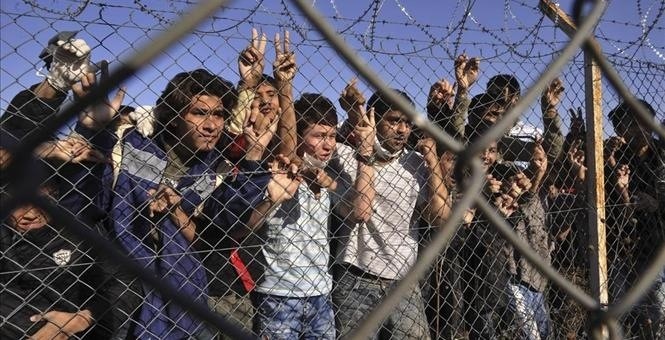 Stop the Detainment and Deportation of Refugee Children! 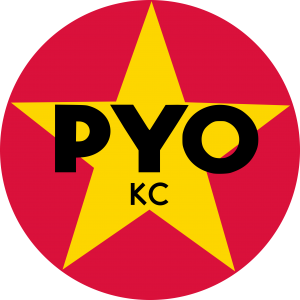 The Progressive Youth Organization of Kansas City (PYO-KC) invites the families of immigrants and all progressive peoples to converge in front of the Kansas City Immigration Court on 2345 Grand Boulevard (Pershing Street) on Sunday, 27 July 2014 at 2:00 PM. We will rally against the inhumane detentions of tens of thousands of Central and South American refugees, most of whom are children, and stand in solidarity with the families of those held in hostage by US immigration authorities. Central American refugees did not wander off from their homes, only to accidentally appear at the US border, as if by magic, nor did anybody ask to be born into a life of poverty and suffering. Rather, what is being witnessed today is the result of an ongoing campaign of terror; a ceaseless, silent war waged on the population of an entire continent. On one side sits innocent, helpless civilians whom international law is either unwilling or incapable of protecting,and on the other sits the largest and most powerful hegemonic empire in human history. If any degree of true forward motion is to be hoped for, a reasonable first objective ought to be to gain an understanding of the role of US foreign policy in the historical development of Central and South America. To this end, let us first ask what might have caused the necessary conditions for this human rights disaster in the first place. The effects of western aggression on nations in the Caribbean, Central and South America can be traced back at least to the fifteenth century, at which time the Americas are commonly said to have been “discovered” by the first civilized human beings. The subtext is of course that, despite the fact that civilizations had already been flourishing for thousands of years, the residents of the Americas weren’t really human beings until the white, western colonizers turned up by accident. This is worth noting simply because it serves as a perfect illustration of the yet-existing pernicious attitude of extreme racism held by those with influence over the minds of the public. Bearing this in mind, it becomes obvious that it is no coincidence that the media and political elite blatantly refuse to put on display the history of their imperial masters’ savage practices in Latin America. It’s hardly a secret that, as far back as the late eighteenth century, ruling elites within the United States have more or less looked upon Central and South America as their God-given property. 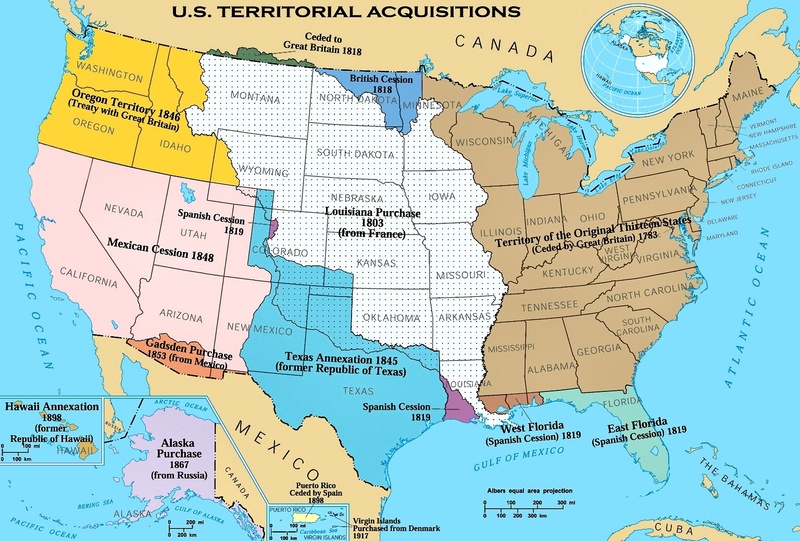 Evidence of this can be seen in the “Monroe Doctrine” (1823), which plainly displays the United States’ long-term strategic objective to subjugate the Americas in order to bleed them of wealth and resources. Looking at more recent history, it is plainly visible that the US has not been a component in the promotion of democracy, but has in fact been solely responsible for the total destruction democracies throughout Central and South America. Perhaps the most immediately significant events to the current crisis is the campaigns of terror carried out by US-funded military juntas. Continuing to the present day, the US empire and its ultra-nationalist puppets have employed every kind of unimaginable torture, extra-judicial assassinations, and repression against progressive citizens demanding control over their own resources, in their campaign of aggression in the Americas. It’s worth mentioning that, given that United Nations charters forbid both the use of force and the threat of the use of force, the atrocities committed by the United States contradict of not only its own self-proclaimed moral “exceptionalism”, but are also in violation of international law. For example, the ICJ (International Court of Justice, or World Court, established in 1945 by the UN charter) ruled that the US’s genocidal war carried out in secret against the people of Nicaragua was in violation of international law, and an act of aggression indistinguishable from international state-sponsored terrorism. Obama, the self-proclaimed “most progressive president in history” according to an article in the Huffington Post (Alman, 2014), voted “most successful marketing product of the year”, who “beat out the marketing campaigns of Apple computers, Zappos.com, Coors beer, and Nike athletic apparel for the award at the Orlando conference, which was held between October 16 and 19 ”, may be credited with some of the most reactionary stances toward US immigration reform in recent history. At the same time, Obama has already deported more people than any President in US History; on average more than 400,000 immigrants are deported every year. Chacón notes, “In 2010, the Obama administration re-launched the Central America portion of the Mérida Initiative as the Central America Regional Security Initiative (CARSI). CARSI provides equipment, training, and technical and logistical support for drug interdiction operations. The $803 million allocated to Central American governments to date has gone directly into the hands of the governments and military apparatuses to ostensibly provide support in their efforts to curtail the cartels. In fact, the cartels have only increased their power in relation to the governments, and whole regions have become destabilized as a result of increasing crime and drug-related violence.” One can only imagine what that vast sum of money could have accomplished if it had been responsibly allocated! As a direct result of Obama’s imperialist policies, which are indeed part of a larger agenda to neutralize populist resistance in Central and South America, the rates of homicide have shot through the stratosphere; In 2012, Honduras had the highest murder rate per 100,000 people of any country on the planet (outside of a warzone) at an average of 90.4 (20 murders per day), followed by El Salvador at 41.2, Guatemala at 39.9, and Mexico at 21.5. (Chacón 6). Those same countries account for the largest mass migration in the 1980’s and 90’s, during which time, according to the Migration Policy Institute, “two million Central Americans moved into the US by the year 2000.” (Chacón 4). Furthermore, according to the United Nations Refugee Agency, the number of people fleeing Guatemala, El Salvador and Honduras has increased by 712% since 2009. It’s no coincidence that this coincides near perfectly with both the escalation escalation of the “war on drugs”, which was sold to the US public on the aforementioned racist attitudes that have by now been successfully engrained into the American psyche, and opening of Central American markets under the so-called “free trade agreement” (North American Free Trade Agreement, or NAFTA). In sum, we must recognize that the current humanitarian crisis is not accidental, nor is it an unintended consequence of well-intentioned US foreign policy gone awry; the destruction of populist movements throughout Latin America and subsequent displacement of broken families and children is an essential characteristic of continued US foreign policy. 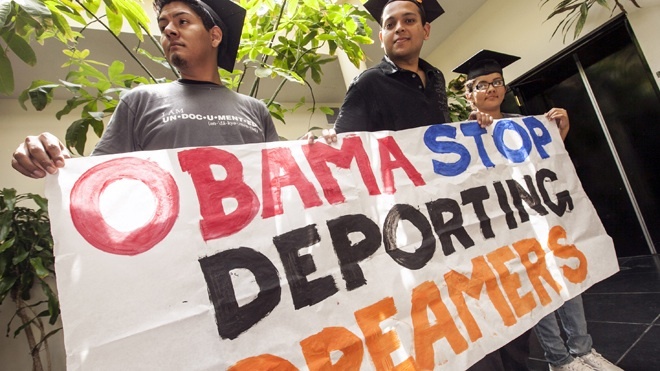 There are currently 11 million or more undocumented immigrants living in the United States. They remain undocumented for a number of reasons, but primarily because it serves the interests of the US employing class. Undocumented workers are uniquely supported by US businesses, especially in agriculture, simply because they have no legal status, and therefore no guarantee of protection of their basic human rights. It is known very well that immigrant workers may as well be slave labor, and are paid low wages so as to enrich a system which makes profits off of their backs. Construction firms hire undocumented immigrants for the simple fact that they can pay them a fraction of what a unionized worker would be paid. Ironically, the fruits and vegetables that feed the very same anti-immigrant racists are picked in the sweltering heat by undocumented immigrants who are rewarded for their part in the imperial grand strategy with hate, bigotry, and wages far below any average poverty-wage level. This is part of a ruthless ongoing campaign on the part of the US ruling elite against workers rights; the United States has by far the most violent labor history of any industrial power, the legacy from which is plainly visible today. Class warfare has played no small part in the US ruling elite’s exponentially increasing wealth and power. Note that if the US media practiced anything even remotely resembling honest journalism, mass movements would be formed overnight demanding better working conditions and citizenship for refugees fleeing US international terrorism. In reality, however, when the media has not flat-out refused to so much as talk about the atrocities being committed by US-backed juntas, it has done the exact opposite of journalism; the media in this country has successfully cultivated an overwhelming climate of fear among the general population. Workers are the primary target of fear-mongering tactics, and immigrant working people are particularly easy prey, since the threat of deportation alone is enough to scare workers into submission. In the process of deportation immigrants are sent to privately owned and federally funded detention centers. In 2010, two of the nation’s largest for-profit prison corporations the Corrections Corporation of America and the GEO Group Inc. have reported a combined profit of $424 million in ICE contracts alone. In addition, tens of millions of dollars have been spent in the last 10 years lobbying congress to approve greater funding in immigration enforcement and detention budgets. WE OPPOSE THE MASS-DEPORTATIONS OF REFUGEES AND IMMIGRANT WORKERS; WE WILL JOIN THEM IN THEIR STRUGGLE FOR HUMAN RIGHTS! WE OPPOSE THE SAVAGE PRACTICES OF U.S. IMPERIALISM IN CENTRAL AND SOUTH AMERICA; WE DEMAND JUSTICE FOR THE VICTIMS OF U.S. WAR CRIMES! WE STAND IN SOLIDARITY WITH IMMIGRANT WORKERS, CHILDREN, AND THEIR FAMILIES; THERE IS NO SUCH THING AS AN ILLEGAL HUMAN BEING! We invite all immigrants, families of immigrants and progressive peoples to gather in front of the Kansas City Immigration Court at Washington Square Park. 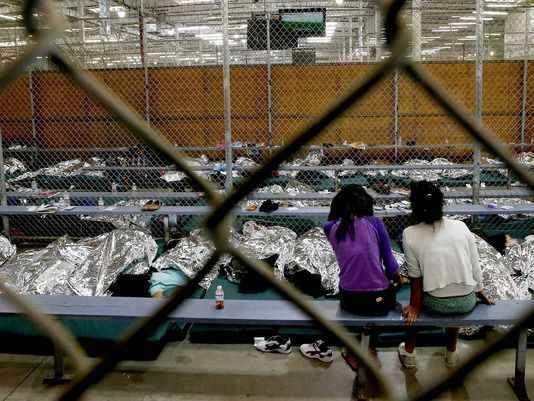 We will rally against the inhumane detentions of Central American refugees, most of whom are children, and stand in solidarity with the families of those held hostage, being processed for deportation, in US immigration detention centers. Les invitamos a todos inmigrantes, familias de inmigrantes, y personas progresivas a que se reunan con nosotros frente a la Corte de Inmigracion de Kansas City, en el parque de Washington Square Park. Vamos a tener demostracion en contra de las detenciones inhumanas de Centro Americanos, la mayoria niños, y ponernos en solidaridad con las familias de aquellos siendo procesados para deportacion en centros de detencion de inmigracion.